nanoFluidX has significantly improved its workflow over the last year. SimLab’s GUI is easier than ever, nanoFluidX solver has got a major upgrade, bringing both speed and improved accuracy, and ParaView has a number of new features as well. This webinar elaborates on each of these points. SimLab - a new round of GUI improvements further reduces the time required to tackle even the most complex of geometries, and set up the solver in minutes. 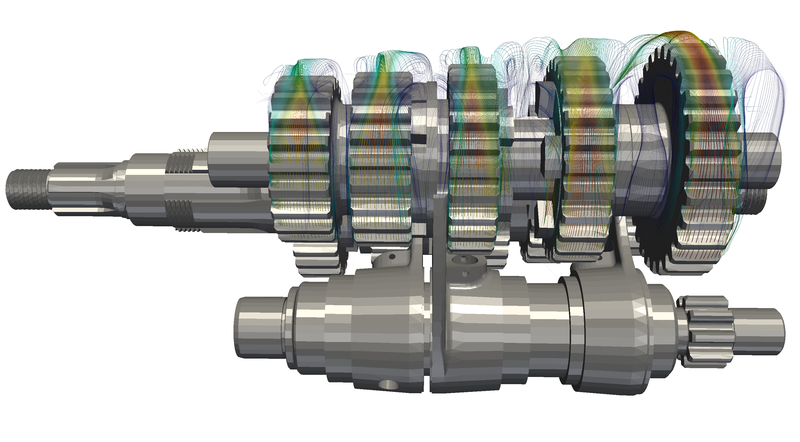 nFX solver - Major overhaul of the numerics brings improved pressure field treatment, along with 2nd order gradient reconstruction thus improving the accuracy. On top of that, not that we did not compromise the speed, we have actually made nFX faster. ParaView - A number of new features for post-processing has been introduced and should bring usability of ParaView to a new level. CAE Engineers and their respective managers, especially from the gear-train and power-train departments. nFX has the capability to simulate multiphase, transient flows in a complex moving geometry environment with great ease. This feat cannot be easily (or at all) achieved by classic FV CFD methods. This Webinar will take place in November 2018. More details will be available soon.